This office buildings is 11m x 7.4m. 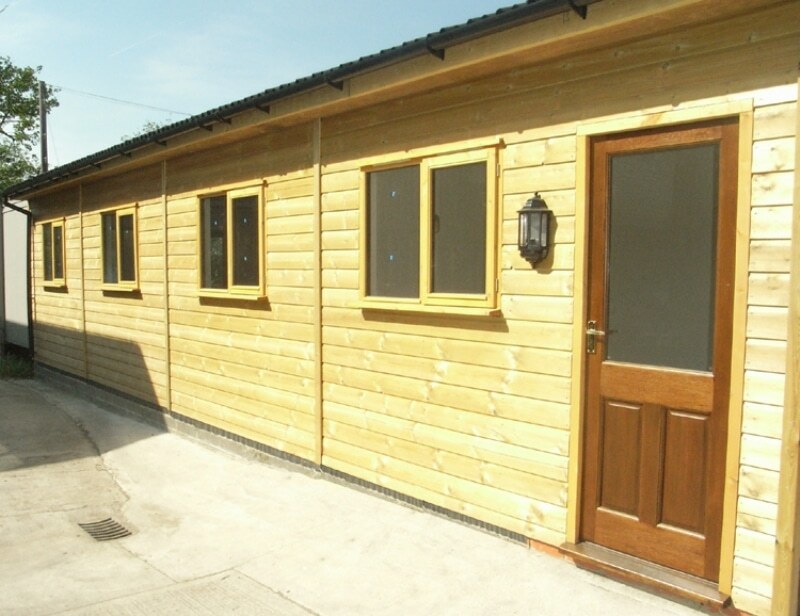 Supplied with casement windows & half glazed doors. We manufactured & installed the main structure which included insulating walls & ceiling. Interior fixings & decoration were carried out by contractors.